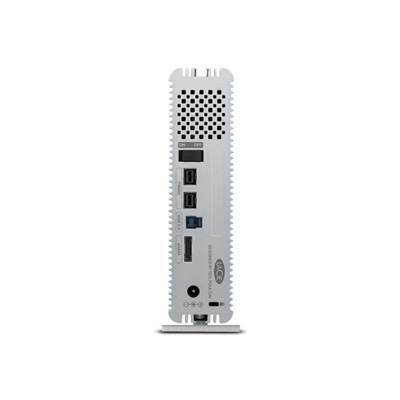 The d2 Quadra has got the latest connectivity with USB 3.0 and two FireWire 800 interfaces for daisy chaining, but it is still fully compatible with, eSATA 3Gb/s, USB 2.0 and FireWire 400. 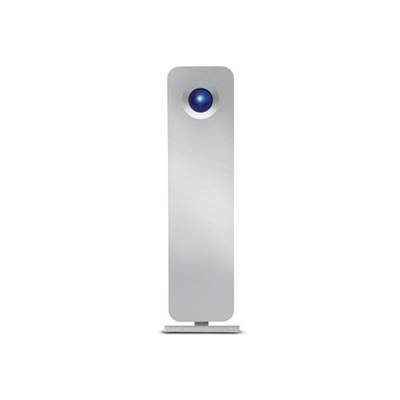 It's even USB 3.0-compatible on Mac® computers, thanks to LaCie's USB 3.0 driver for Mac OS. 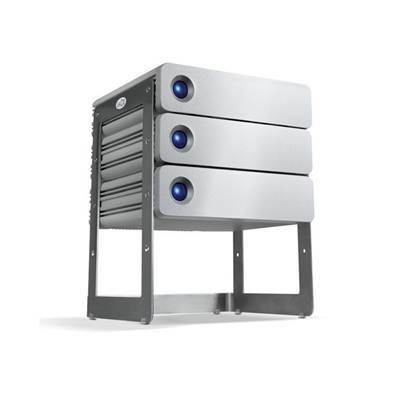 With all of its interfaces, the d2 Quadra has universal connectivity, so it is easy to back up and restore any workstation, no matter the configuration and interfaces. And thanks to the USB 3.0 performance, you can make faster, more frequent backups of your data, keeping it safe and secure. 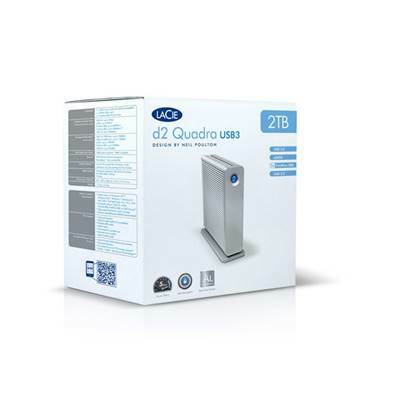 Since the d2 Quadra tops out at a 4TB capacity, it can even be used as a simple and convenient storage expansion for a server. With the preloaded LaCie Desktop Manager, you can easily configure the shortcut button to launch the application of your choice in one push and configure your drive's eco mode. And, with its two-color front LED indicator, it is easy to check the drive status. It also includes Genie Backup Assistant software and Intego® Backup Assistant software with data restore for Windows and Mac. Both products provide an ideal solution for a simple and user-friendly backup and file retrieval. *1TB (Terabyte) = 1000GB. 1GB = 1,000,000,000 bytes. EN Total accessible capacity varies depending upon operating environment (typically 5–10% less) **These maximum transfer rates were achieved using Blackmagic Disk Speed Test. Performance test system: Windows 7 32-bit, Intel Core i7 860, 2 x Corsair XMS3 DDR3 PC16000 CL9 2GB. 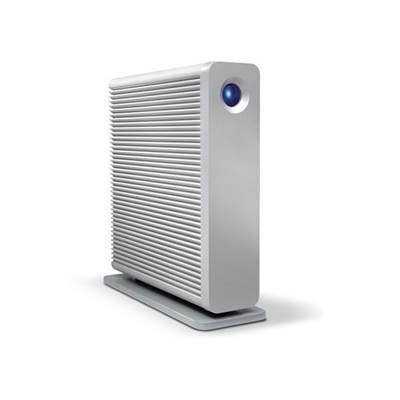 Burst transfer rates vary from one computer to another and may vary slightly from one drive to another. Average speed is usually lower depending on host configuration. *** Calculations are based on 1080i 60 (8-bit) for uncompressed HD video, NTSC DV 25 standard-definition 720x486, 29.97 fps for digital video; and an estimation of Digital SLR resolution of 10 megapixels for RAW photos of 12MB. These calculations are only estimations and may vary with the codec used. - This feature not available in eSATA. - FireWire 400 to FireWire 800 cables are sold separately and are available on www.lacie.com/accessories. - Windows XP does not recognize volumes of more than 2TB.